which only means more new stuff for the area, as well as updating and making the things that are already there even better!! My intent was to follow the 5 day itinerary that I had planned but even the best well laid out plans sometimes have to be changed. Unfortunately, we only got to spend 4 full days in Pigeon Forge this trip so a little modification was needed. Day one was a pretty low key day. Our travels got us into Pigeon Forge in the wee hours of the morning so I was happy that I didn’t have much planned for the first day. We got a late start but still managed to get in plenty of fun. Brunch at Old Mill, go-kart riding, black light miniature golf, dinner at Hatfield and McCoy Dinner Show, and then some relaxation in the hot tub at our Lakeside Getaway cabin at Eagle Ridge Resort. Splendid first day!! Day two was cloudy, cold, and rainy so we decided to change plans a little and go for indoor activities instead of a day in the Great Smoky Mountains National Park. We still started off with a late breakfast at Mama’s Farmhouse, followed by some indoor fun and picture taking at the Hollywood Wax Museum and then a little learning over at Titanic. The little divas decided on a snack time at Gigi’s Cupcakes, then a little later, dinner at Pottery House Cafe and Grill. This day ended with some laughs at the Comedy Barn and then snow!!! Yes, we get excited to see snow as it is a rare occurrence in our part of the country! Because it was snowing when we went to bed the night before, we planned to just have breakfast at the cabin on Day three and not be rushed to get out. It was another cold day out, so we opted for another day of indoor fun. So, it was off to Wonderworks, a lunch break at Mellow Mushroom, then more indoor fun at Magiquest. 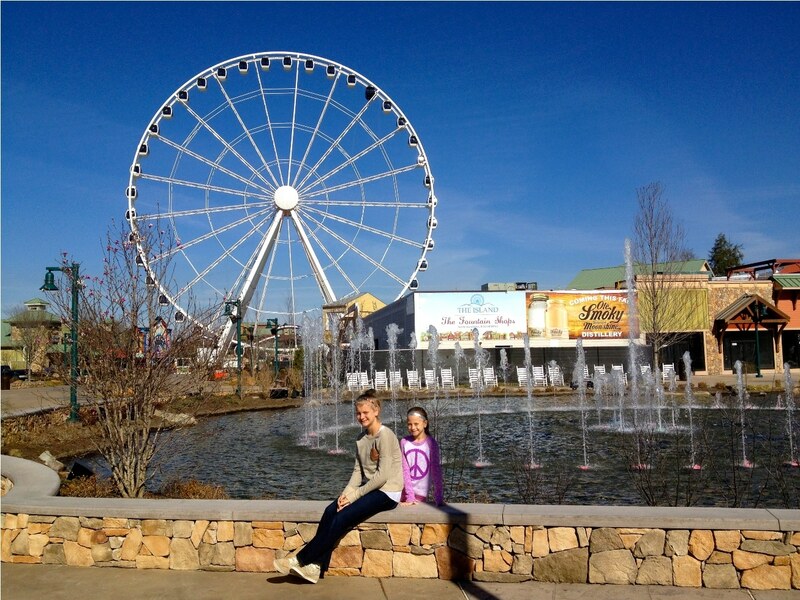 By late afternoon, the sun was peeking out and a little warmer which allowed for a quick trip on the Smoky Mountain Alpine Coaster before heading off to the Wonders of Magic show at Wonderworks. A late dinner at Bennett’s Pit Bar-B-Que concluded another good day!! Day four was our last day and we were not gonna leave without getting that trip to the Great Smoky Mountains National Park in. Thank goodness the weather cooperated!! It was a beautiful sunny spring like day. First off, we started with a little morning fun at The Island on the Wheel and in the new Island Mirror maze and lazer maze. We quickly grabbed some fast food lunch and headed off to the mountains for the afternoon. I think it was my most favorite mountain trip to date!! We saw lots of wildlife and spring flowers starting to pop up…..just plain ‘ole peaceful and serene!!! It was hard to top off our fun afternoon, but we headed back to The Island for some dinner at Timberwood Grill. The little divas could not leave without a nighttime ride on the Wheel. Next morning, it was breakfast at a local favorite, Log Cabin Pancake House, then sadly off to the airport. So even though we didn’t have a full five days, we managed to work in most of the activities that I had planned. And, YES, we were all sad to leave! !